The TecNec Visca Camera Control Cable 8-Pin DIN Male to Male 100 Ft is a camera control cable for RS-232C control of a color CCTV video camera from a PC. It connects to a camera on one end and to a PC on the other. The connectors are an 8-pin DIN male to an 8-pin DIN male. Supported cameras include the Sony EVI-HD1, D30, D31, and the Canon VC-C4R and VC-C4. 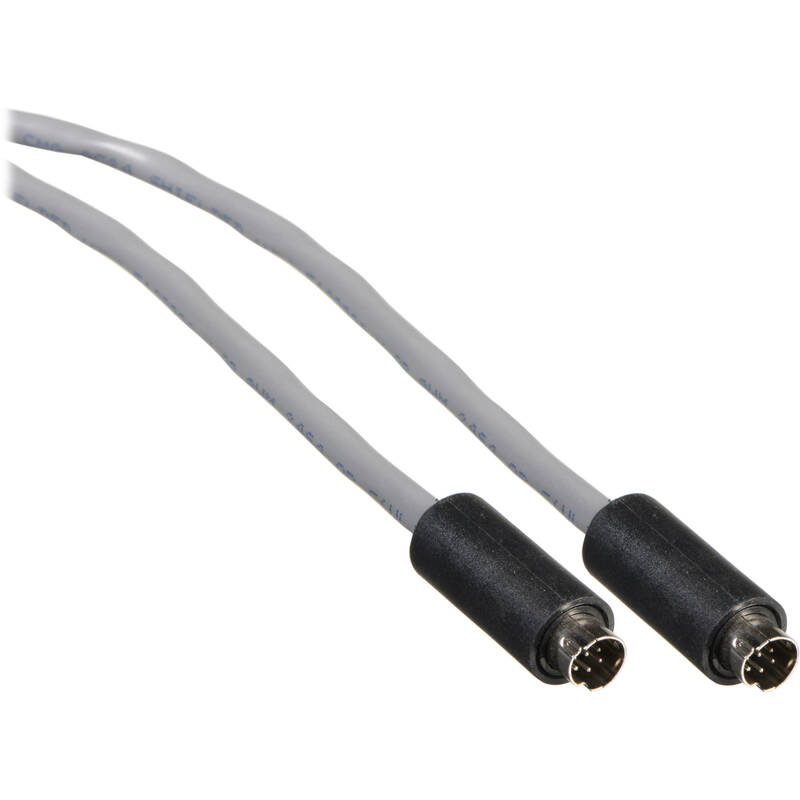 Box Dimensions (LxWxH) 15.591 x 10.709 x 1.5"
Visca Camera Control Cable 8-Pin DIN Male to Male 100 Ft is rated 5.0 out of 5 by 2. Rated 5 out of 5 by Luis from Top performer I use this cable to control a Sony camera that is not permanently installed; therefore we unroll and roll up this cable with every event. Easy to handle and the cable rarely gets all tangled up. Rated 5 out of 5 by JUSTIN A. from Awesome Product Bought this for church Sony BRC 330 and works great. Its been only a couple of weeks but have no issues like other reviewers have expressed. Will be back if We find any.